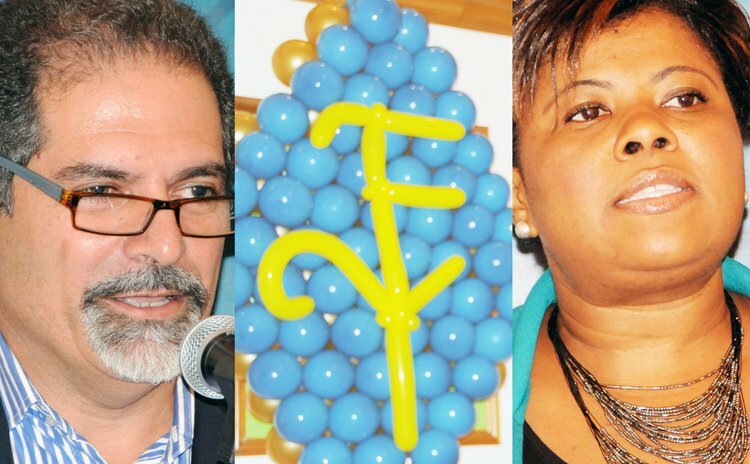 If roses by any other names smell as sweet, Fort Young Hotel has concluded that by the same token it will remain Dominica's top hotel with new names, new colours and a new attitude. On Wednesday last week owners and management announced that they are rebranding the Fort Young to make it "smell sweeter" to guests and customers. "Rebranding is really the start of the journey to serve our guests and our clients better," said Gregor Nassief, the Executive Chairman of Fort Young who initiated the process. "For me the rebranding is part of a much deeper process where the focus is actually to create a great team to serve our clients." But why would Fort Young want to repair itself if it is not broken? According to Marvlyn James, the General Manager, (who, incidentally, was recently involved in the rebranding of Dominica) one of the objectives of the exercise of rebranding Fort Young was to differentiate the Hotel and to stay ahead of the pack. "We wanted to refresh a dated brand identity and give our image a facelift," James said in a brief PowerPoint presentation at the Palisades, the new name for the Waterfront Restaurant. "Also to challenge ourselves on our new promise and exceed expectations of our guests and customers." James said in the facelift of the Fort Young image, the F and the Y in the name have been redone and the hotel colours were changed. Additionally, customers will now have conferences in the "Vault", drinks in "Warner's Bar"; Happy Hour on Fridays will still be fun but "Cocktails and Conversations" may have a more sophisticated ring to the same activity of meeting friends for drinks, good food and live music. And have you been looking for mid-week entertainment? Then what about "Unwind Wednesday?" And if your kids feel left out in all of this, don't despair; there's "Cannon Ball Kids Club". No, although boys, being boys, would have loved it, they will not be playing with cannon balls.